This film is about drive. It’s about the passion and creative drive of Kazunori Yamauchi, the architect behind Gran Turismo’s birth and breath-taking fifteen-year evolution. This film will trace his relentless willingness to challenge himself, to hold none of his past achievements sacred, and push beyond the virtual divide in his pursuit of perfection. 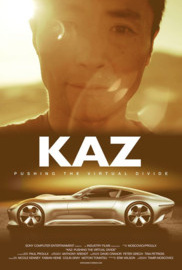 Through the support of PlayStation, Kaz’s journey has forever changed the gaming and automotive landscape and in doing so, has redefined how we perceive the relationship between art, entertainment and culture.